To get an accurate crosscut on the table saw, the blade has to be parallel with the saw's mitre gauge slots. A quick way to check this is to use a combination square and a marker, see top photo below. If your blade isn't parallel to the mitre gauge slots, the table saw trunnion needs to be adjusted. (The trunnion is the assembly that holds the saw's arbor to the underside of the saw table.) Normally, all you need to do is loosen the bolts that hold the trunnion and tap the trunnion in the direction needed. MARK TOOTH To check that your blade is parallel with the mitre gauge slot, first mark a tooth. Then place a square in the slot and adjust it so the end of the square just touches the side of the marked tooth. ROTATE SAW BLADE Next, slide the square and rotate the blade backward until the marked tooth aligns with the square. If the square just touches the side of the tooth, the slot and the blade are aligned. I feel that using Makita Saw Blades i need to push harder, should i change my saw blade and try some new brand? Our comprehensive buying guides are filled with informative tips that are designed to help you choose the perfect table saw with confidence. You will also find informative reviews written by our team of authors, along with all of the accessories you need to successfully finish your projects. After spending just a few minutes on our website you will be able to confidently choose the best table saw reviews that fits your needs and your budget. This is something I always hate to do because it is so easy to get it wrong. Especially when I am in a hurry, it is very easy to get slanted lines instead. 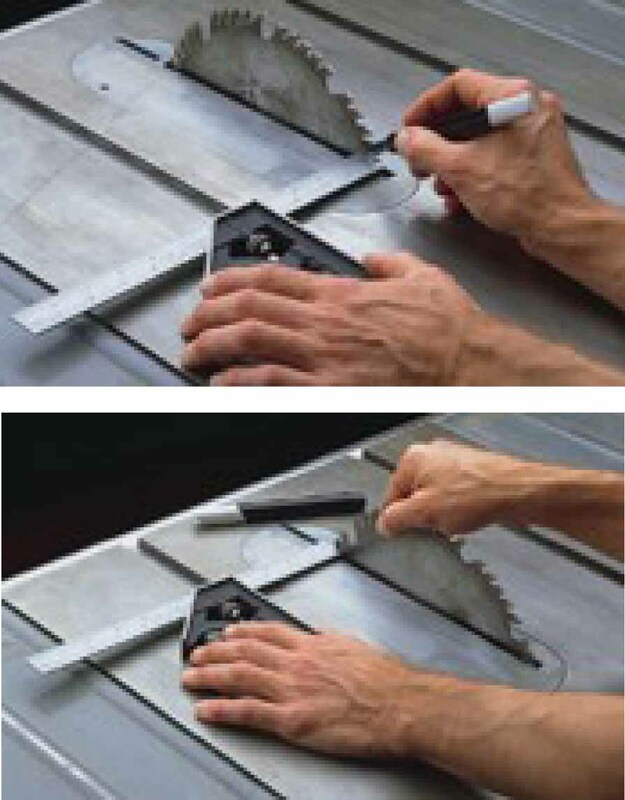 Keeping your table saw in top fighting form is just as simple as a few general maintenance exercises. Perhaps the most important of which is keeping your saw blade aligned to the miter slot. 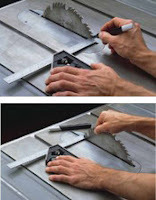 Learn how to align your table saw blade with just a few simple steps. Years ago i have ruined many cuts by not having my blades aligned, good advice! Hey, that’s a precise piece of write-up on Checking Table Saw Blade Alignment. To be honest, it would be a nice resource for me as I’ve been working on a similar subject area to create an eBook for some particular visitors of our company website, Spottingpro.